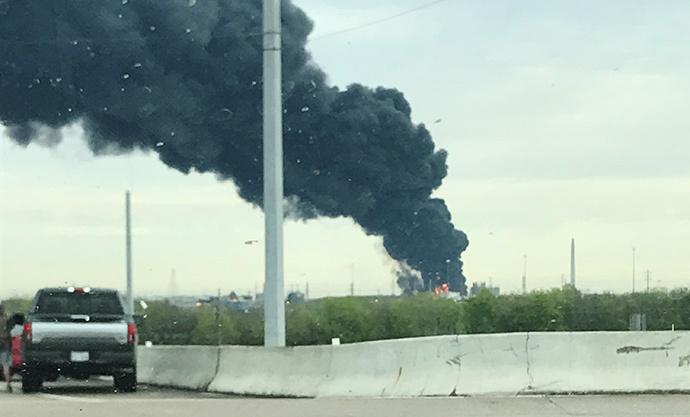 As the rest of the nation watched a plant fire on TV, the entire city of Deer Park, Texas sheltered in place because of significant levels of benzene in the air. 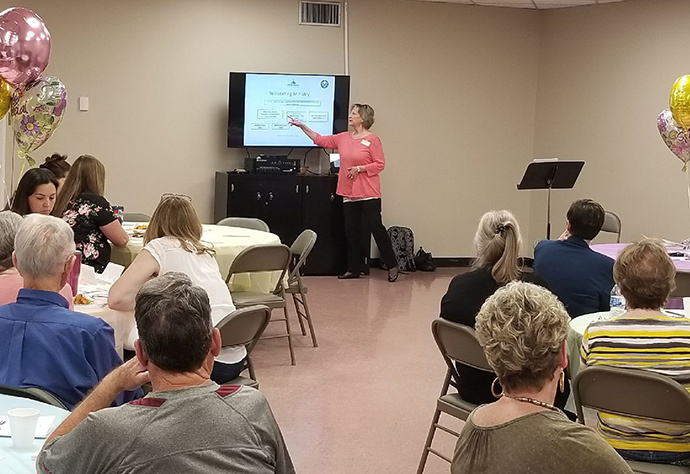 Meanwhile, the pastor and members of Deer Park UMC, who were sheltered in place together had a very special worship service. The piano prelude, “All Things Bright and Beautiful,” had just concluded. The Rev. Kate Walker of Deer Park United Methodist Church was about to rise to give the welcome when someone eased into the pew next to her, bearing news. The city of Deer Park was under a shelter-in-place order. She remembers what she told her congregation, some of whom work in Deer Park’s chemical industry. Early on Sunday, March 17, a fire broke out in a chemical storage tank at an Intercontinental Terminals Company facility. Thick, black smoke was soon visible from the church’s sanctuary. 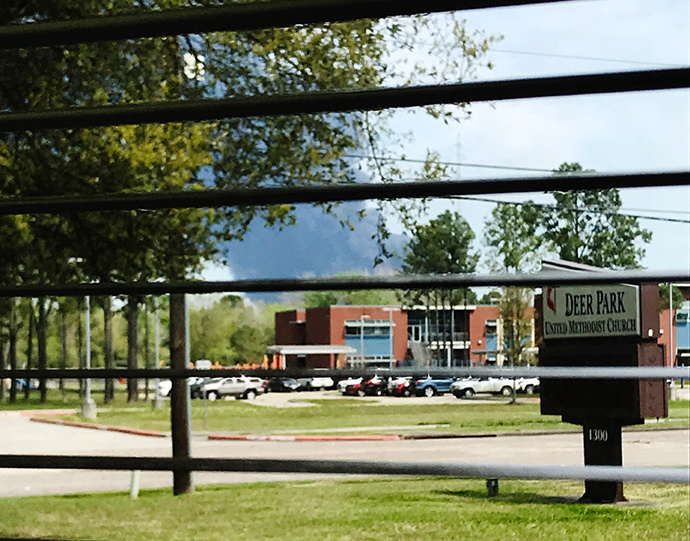 The fire was extinguished on March 20, but a flare-up a few days later and a spike in benzene levels in the air in Deer Park meant the schools were closed for much of the week and residents made hard choices about whether to stay—or leave. For members of Deer Park UMC, the donuts didn’t hold out quite like the loaves and fishes. Because air conditioners must be turned off during a shelter-in-place order, families were soon tired, hungry and hot. 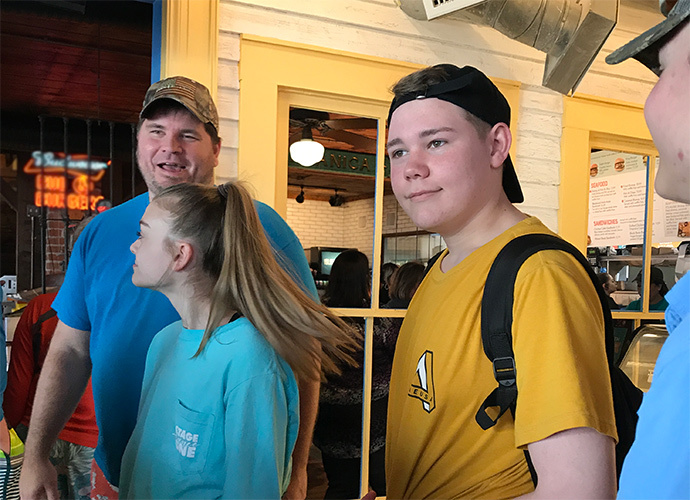 On Wednesday, with kids bored and parents stressed, church leaders decided to quickly organize a trip to Galveston for the children and youth. High levels of benzene resulted in another brief shelter-in-place order (this one only four hours). It also resulted in a federal Chemical Safety Board investigation into the fire. Schools reopened on Monday, March 25, and things are back to normal, Walker said. “But we trust in God,” she said.